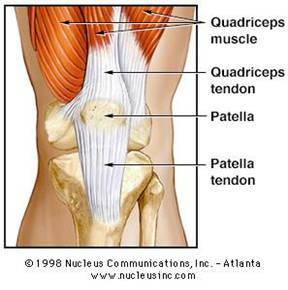 The Early stages of Patellar Tendonitis(Knee Pain) may be treated using the R.I.C.E methods. Chesapeake Physical & Aquatic Therapy may also recommend specific exercises and stretches to strengthen the muscles and tendons. Surgery for a hip replacement is called a total hip arthroplasty. If you have questions like Why is a hip replacement needed? What is involved in the surgery? How Long Are Recovery and Rehabilitation? People sometimes say I smile a lot. A smile can go a long way for me or for someone else who is hurting. I grew up with joint pain, especially in my knees. I have had three knee surgeries, lots of physical therapists, and way too much pain. I now have Rheumatoid Arthritis in most of my joints. I am about to undergo hip replacement because the arthritis has attacked and destroyed my hip. My doctor suggested Aquatic Therapy to help me prepare for surgery, lose weight, and keep moving. I honestly didn’t want to try it. I have been through PT before with little relief. However it has been the best! Sometimes I don’t want to come, either I am having trouble walking, moving, it hurts too bad, or I’m just too extremely tired and worn out. Regardless of how I feel when I get into the pool I always feel better when I get out. With aquatic therapy I have been able to build strength and endurance. Sometimes you just have to grin and go forward. Life is a one time opportunity. I have found the entire staff, from the office associates to the assistant therapists to the actual therapists to be supportive, caring, and real. The PT’s sometimes push when I don’t feel that I can do anymore, yet they are able to reign me in when I try to do too much. You can see when people truly care about their job and the people they are helping. I see a special bond between the patients and the staff here that reveals they are well liked and have the person’s very best interest at heart. The staff members here at CPAT have touched my heart, given me some grace to continue to walk through life, and I watch them touch others. They are remarkable people who have come together to touch lives. According to the American Physical Therapy Association, physical therapists teach self-management skills to people with all types of conditions, including fibromyalgia. Physical therapists can show people with fibromyalgia how to relieve symptoms of pain and stiffness in everyday life. These health care professionals teach people with fibromyalgia how to build strength and improve their range of motion. They show them ways to get relief from deep muscle pain. And they can help people with fibromyalgia learn how to make sensible decisions about daily activities that will prevent painful flare-ups. What Is Physical Therapy? Physical therapy focuses on the treatment, healing, and prevention of injuries or disabilities. Regular physical therapy programs may help you regain control of your fibromyalgia as you focus on lifestyle changes rather than on the chronic problems of pain, stiffness, and fatigue. Proper posture, which your physical therapist will help you with, allows efficient muscle function. That results in your being able to avoid undue fatigue and pain. In addition, the therapist may use slow stretching exercises to help you improve muscle flexibility. Relaxation exercises that the therapist will show you will help you reduce muscle tension. How Can a Physical Therapist Help my Fibromyalgia? A licensed physical therapist has a background in anatomy and kinesiology–the study of movement. If you have fibromyalgia, this allows the therapist to develop specific stretching and strengthening programs to meet your individual needs. Physical therapists work with all types of patients–from infants to adults. They provide health services that help restore function, improve mobility, relieve pain, and prevent or limit permanent physical disabilities. Working one-on-one with people, physical therapists help restore overall fitness and health. How Can Physical Therapy Help Relieve Fibromyalgia Pain? While there is no known cure for fibromyalgia, physical therapy may help ease the symptoms of pain. It can also help reduce stiffness and fatigue. In addition to exercise, physical therapists use a wide range of resources–from deep tissue massage to ice and heat packs for hydrotherapy. With these tools, physical therapists can help people with fibromyalgia use their muscles, stretch for flexibility, and move their joints through range-of-motion exercises. The benefit of physical therapy is that it allows a person with fibromyalgia to work closely with a trained professional who can design a fibromyalgia-specific treatment program. The therapist documents your progress and gauges whether you’re practicing good therapy habits, alignments, and movement patterns when doing “homework” or exercises at home. The ultimate goal of physical therapy is for you to learn the specific exercises and then do them daily at home. Why Does a Physical Therapist Use Hydrotherapy? Hydrotherapy with moist heat or cold packs works by stimulating your body’s own healing force. For instance, cold compresses reduce swelling by constricting blood vessels. Conversely, warm, moist compresses on painful areas dilate blood vessels. That increases the flow of blood, oxygen, and other nutrients and speeds the elimination of toxins. Hydrotherapy works well for almost all types of pain, including fibromyalgia pain. Cold compresses may reduce the pain of an injury, such as a sprain or strain. Moist heat may give relief to fibromyalgia’s chronic muscle pain or trigger point pain. You may use a moist heating pad, a warm, damp towel, or a hydrocollator pack. You can also stand or sit on a stool in the shower and let warm water hit the painful area on your body. Your physical therapist may recommend that you use moist heat for a few minutes just before and after stretching or doing resistance or aerobic exercise. Doing so will make the exercise less painful and more effective. If you want to use moist heat to decrease fibromyalgia pain, you might try it twice daily, about 15 minutes each time. Some people with fibromyalgia prefer alternating the ice compresses with the moist heat to get the most benefit.